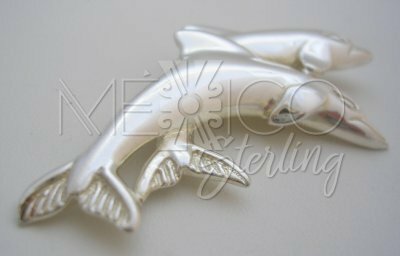 Handmade Taxco Sterling Silver Dolphins Pin-Brooch [PNBR2247] - $46.00 : Mexico Sterling Silver Jewelry, Proundly from Mexico to the world. 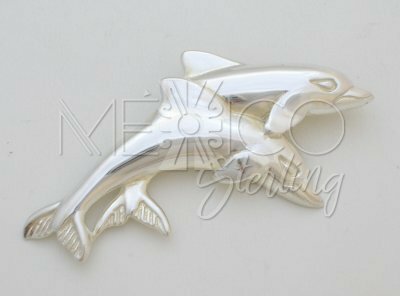 Dimensions: W: 1 3/8" widest point. 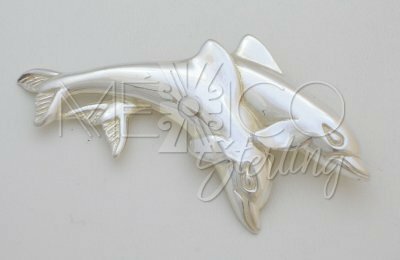 Length : 2 3/4"
This is a very original piece of jewelry, that combines elements and nature figures. 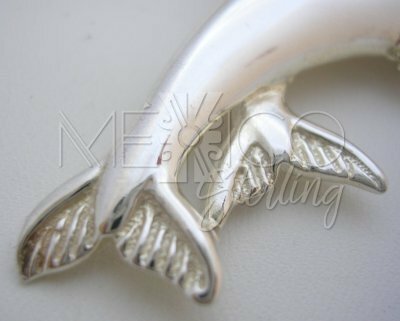 Making of it a special and charming silver brooch. These dolphins are shown in a graceful swimming episode, one in front of the other. 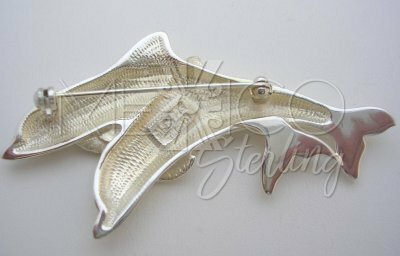 The shinny polished silver surface contrasts beautifully on any dark surface. 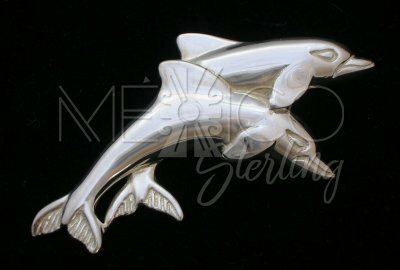 It is also solid silver, with a substantial weight for its size.